It can’t be long now before we get to hear the new plans for Seven’s early evening line-up. Since mid 2012 there have been numerous rumours about major change to its early evenings. – Falling News figures in Sydney and especially Melbourne. Ultimately everything comes down to numbers. How are the shows performing with demographics versus cost? Can Seven spend its dollar to deliver a better outcome? The risks are huge. TEN tried to change habits in 2011 with dire consequences from which it still has not recovered. On the back of the bushfire disasters, one hour news bulletins have been screening in several cities this week (there’s even an hour scheduled for Sydney tomorrow). In Sydney it’s been an encouraging toe-to-toe fight -but is it due to the fires or the length of the bulletins, or both? In Melbourne, there is still much ground to make up where Nine remains in front with Peter Hitchener, while Seven has Jennifer Keyte. If the changes, as rumoured, are as radical as a one hour bulletin and a rebadged current affairs show at 5:30pm, Nine would do well to stay the course. There will be a big slice of the audience that won’t embrace change quickly. However this is carved up, 2013 is already shaping up as a fascinating year. Wouldnt be surprised if Price is Right doesnt make it back. They went waaaaaay too cheap with the remake – its cheap, nasty, tacky and boring. It was such a shame, because the old format created massive energy to lead into the news. @Daniel That’s very much like Nine’s current line up. Not a fan of more news on FTA (Sky does a great job through the day). Commercial News is filled with sponsored segments and trash. All this ‘first on nine/seven’ should be done away with, as seen especially with the bushfires, they both have similar/same footage (it’s like TT/ACA labelling all their stories ‘exclusive’). In related news Nine is changing it’s 6pm bulletin to sports only, which will involve 2 less stories a night. What future for Price is Right? So where would The Price Is Right be moved to? !!! Yeah the reality is that The Rich List has minimal/no chance of returning. Shame, was a good show. But at least Seven is busy making classy, insightful & thoughtful productions such as Celebrity Splash. Have watched 7 news Melbourne all my life but the last 6 months have really done me in. I live in South West Vic and have been following the big fire over here. Constantly switching channels to follow this story led me to staying on Nine. At times they had a reporter live on site and seven just doing a voice over. Nine is winning Melbourne due to attention to detail.Seven are losing because they are only interested in fancy sets,good suits and make-up. Just make it look good and people will watch. Real news comes second. Seven (and also Nine) have an older audience who wouldn’t handle major change well, so this could be a suitable line up. The Rich List would definitely be a popular choice for viewers. Deal or no Deal suffers because audiences can’t play along at home. Nothing suggests The Rich List is returning. I truly believe if 7 go back to a more traditional Price is Right at 5pm with a few more dollars thrown at it as a lead in to state based TT or rebadged current affair leading to 1 hour news will be an absolute winner! That would smash a tires nines 430 hour news + millionaire news and current affair! As much as I hate today tonight, it is usually the number two show for Seven (after the news). If George Negus taught us anything, Australians don’t care for serious news. Thank goodness for the ABC. Not sure about hour long news. Even with the bush fires taking up nearly half, several of the news items seem to be straight out of the Today Tonight play book. Agree reidy, Seven need to do more to engage local audiences via their social media channels, especially to generate buzz, discussion and debate. Right now 9 News has much more front of mind for viewers thanks to their strong social content & engagement strategy. @bobmar28 – And Seven Sydney also beat Nine on Monday, but not on Wednesday. I’ll just stay with ABC24 thanks. Hence me saying they were toe to toe. Changing Today Tonight is a massive risk, it gets good numbers as there are a lot of people out there who like that trash “news”. Moving it to 5:30 would half the ratings, people are still getting home from work, at the gym or preparing dinner. The amount of news on FTA is getting ridiculous. With news accessible online 24/7 and with ABCNews24, there is no need to add more news casts to the FTA primary channels. They are actually shooting themselves in the foot, as with more news choice on the one channel, people may actually shift their news viewing patterns to earlier in the day resulting in a further drop in the 6pm bulletin. I for one have 7News Adelaide on permanent record on the PVR, so I can watch it when I am ready, and then I can fast forward through all the sport and any story that has no interest to me. I basically have the news over with in 8 mins. If Seven goes to a one hour news bulletin this will affect The Project starting at 6.30pm now. Surely if big change are coming they will promote them to death over the next few weeks of the tennis. 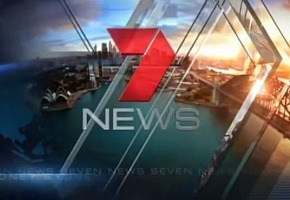 Seven’s one hour news beat nine’s news on Tuesday in Sydney.